Humanity moving on up...to the Moon! It’s like the space race of the ’60s and ’70s all over again. Not only is Russia trying to figure out how easy it would be for their cosmonauts to walk on the Moon’s surface, they’re using 1970s technology to do it. Russian state-backed space agency Roscosmos has revealed that it plans to send manned missions to the Moon some time between 2025 and 2045. By then, more than 60 years will have passed since Apollo 11 and Neil Armstrong’s “one giant leap for mankind” ended the space race between the U.S. and the Soviet Union. The Russians are, of course, not relying entirely on Soviet-era tech. The European Space Agency (ESA) is reportedly assisting Russia on the mission, and Roscosmos claims that it is working with RSC Energia to develop new and better spacesuits to facilitate walking on the Moon. No matter. Elon Musk can have Mars. 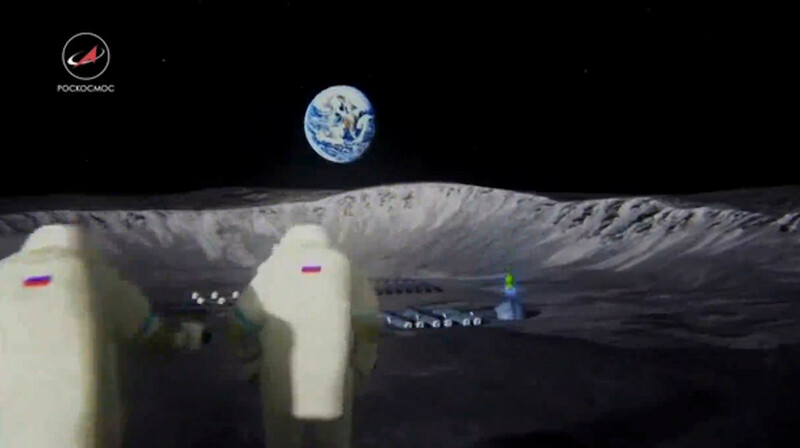 Vladimir Putin will settle for the Moon.